Home » Unlabelled » Official Rule Graf Von Faber Castell Trivia Challenge ! 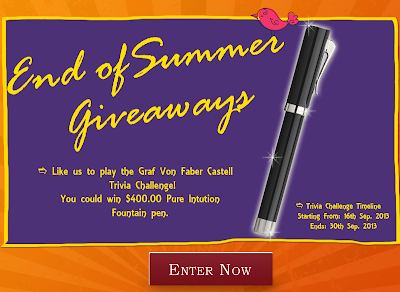 Official Rule Graf Von Faber Castell Trivia Challenge ! 1.) This giveaway/contest is void where prohibited by law. The contestants assume the total responsibility of knowing their local laws in regard to Graf Von Faber Castell Trivia Challenge and are subject to any local, state, national or international laws. Friendship Circle accepts no responsibility for making these individual legal determinations.